© Alexander Jung. All rights reserved. 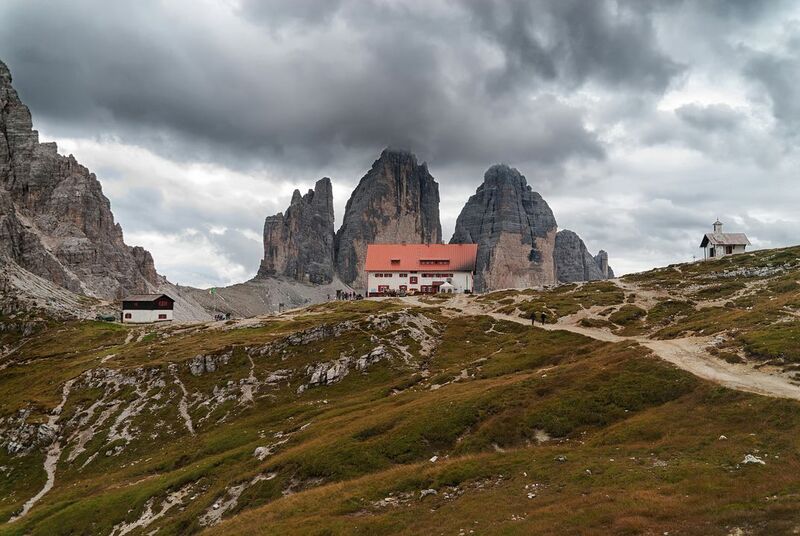 The image shows the north faces of the three mountains Tre Cime di Lavaredo in the Dolomites, Italy, in front of the hut Rifugio Antonio Locatelli. At the moment of the photograph the clouds were hanging quite low and surrounded the peak of the highest of the three mountains (Cima Grande; 2999 m). Connection between earth and sky could be established. Date Uploaded: Oct. 29, 2018, 10:25 a.m.